Our kennel is located in Plymouth, Massachusetts America's Hometown. Our dogs are expected to perform to the highest standards, posses exceptional confirmation, and have an outstanding drive to hunt for the gun. We raise all our dogs from puppies. Our Brittany's are well known for their hunting ability and temperament. We only breed the dogs that we hunt with. 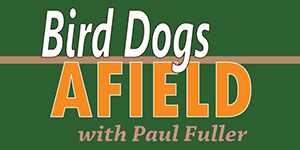 We hunt a variety of upland game species, which include Ruffed Grouse, Pheasant, Quail, and Woodcock with our dogs. They spend many weeks in the field, but are just as easy to have in the house. Our dogs are a part of our family, they live in our home and have free range during the day on our property. We don't take anytime time way from them during hunting season. For that reason we only raise a few select litters a year. We expect all of our puppies to be natural, instinctive hunters that have a great nose with excellent stamina and exhibit superior ground coverage and also expected them to be highly intelligent with a classic conformation, stylish with a strong bird drive in addition to being loving companions and family pets. ​THE BRITTANY: Brittanys are unique sporting dogs: Smaller than setters but leggier than spaniels, they stand about 20 inches at the shoulder. Known for their beautiful, boldly patterned coat, Brittanys come in combinations of white and vivid orange and liver (reddish-brown). They’re rugged and strong—the word “muscular” occurs more than once in the breed standard—but smooth, clean, and quick afoot. The face has the “softness” prized by bird-dog lovers; high-set ears convey the breed’s essential eagerness. TRAINING & TEMPERAMENT: Due to the breed’s intelligence, basic obedience training is recommended. The Brittany is strong, quick and agile, requiring exercise and activity to occupy his body and mind. He is a happy and alert dog who possesses willing attitude. Some of the best activities for Brittany’s include pointing breed field trials, hunting tests, dog shows, obedience, agility, flyball, lure coursing, and tracking.